In Hearthstone - The Grand Tournament, there are top 10 cards to excel from the 132 new cards. 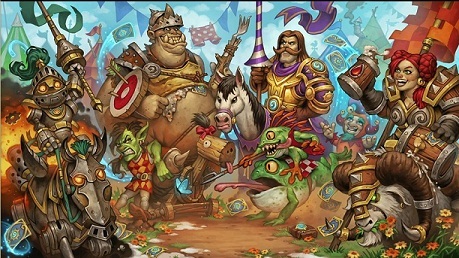 Hearthstone scored with the big tournament, a new expansion that a cheerful and hearty knights' tournament in the world of World of Warcraft has on the subject. Therefore, there's also 132 new cards with new abilities as inspiration or Joust. But what cards are the best? The Hearthstone expert StrifeCro has the expansion in advance and considers to pick the top ten cards. He has also created a video on YouTube, in which he explains all the cards again. The video can be found at the end of this article and in the following table, we provide you all the top 10 cards from Hearthstone: The Grand Tournament in detail. Varian Wrynn Warrior 10 Mana Battle Cry: draws three cards and puts all so drawn servants directly on the battlefield.